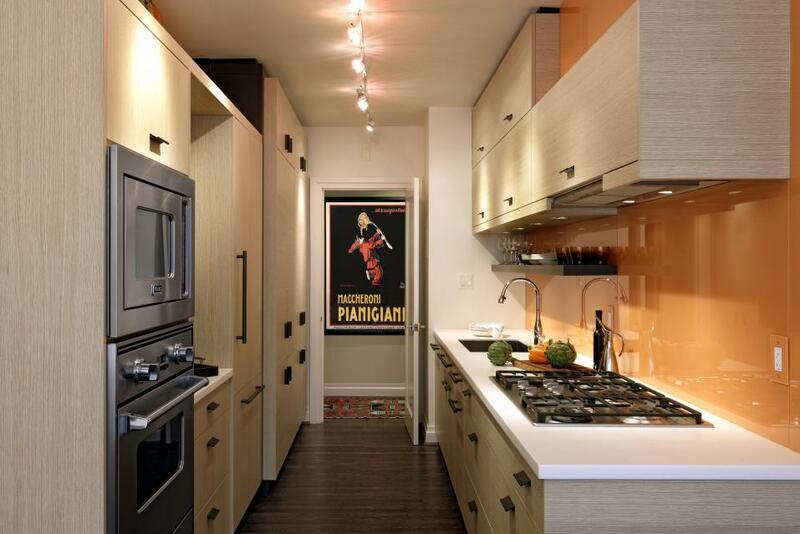 Sun., Dec. 30, 2018, 3 a.m.
Dan McFadden, president of PB Kitchen Design in Geneva, Illinois, and president of the Chicago Midwest chapter of the National Kitchen & Bath Association, says another benefit of galley kitchens is that they cost less: “You’ll have fewer cabinets and fewer feet of countertop, so you can splurge on appliances, fixtures and hardware.” McFadden likes to use sleek built-in appliances with clutter-free controls such as Sub-Zero’s integrated refrigerators that sit flush with adjacent cabinets. For particularly small urban spaces, he suggests splurging on the Sub Zero 24-inchintegrated column refrigerator/freezer. The super-slim unit has one door that conceals both the refrigerator and freezer; no horizontal lines means it blends into the rest of the kitchen design. Published: Dec. 30, 2018, 3 a.m.